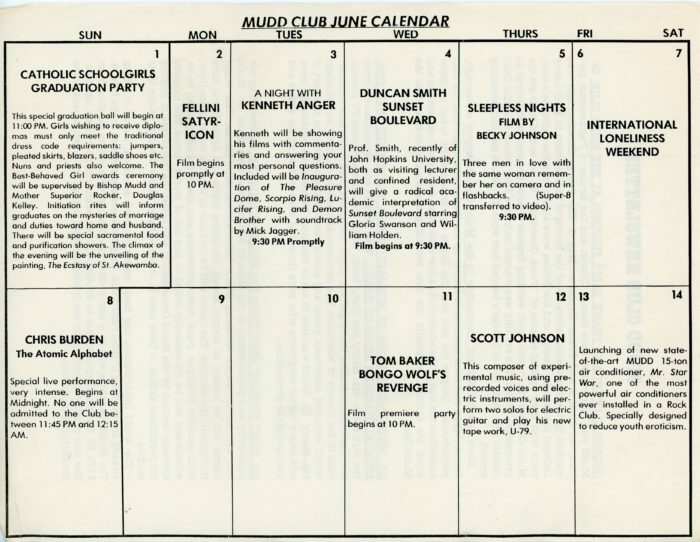 Flyer advertising the Mudd Club’s June Calendar lineup. Includes parties, film screenings, and musical performances. 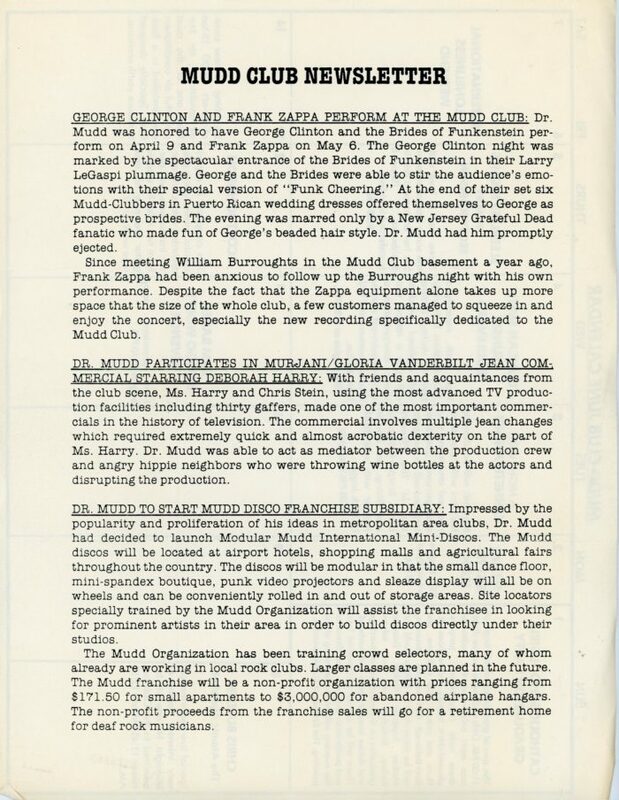 The back of the flyer shows the June Mudd Club Newsletter, including write-ups “George Clinton and Frank Zappa Perform at the Mudd Club,” “Dr. Mudd to Start Mudd Disco Franchise Subsidiary,” and information about a commercial shoot at the club starring Debbie Harry.